Why would people vote when I contest from Dadeldhura and Arzoo from Kailali? Nepali Congress (NC) President Sher Bahadur Deuba has conceded that the main reason for loss of the party in the last general election was distribution of tickets. “I contested in Dadeldhura, Arzoo (his wife) in Kailali. Both the KC brothers had to contest in Nuwakot. 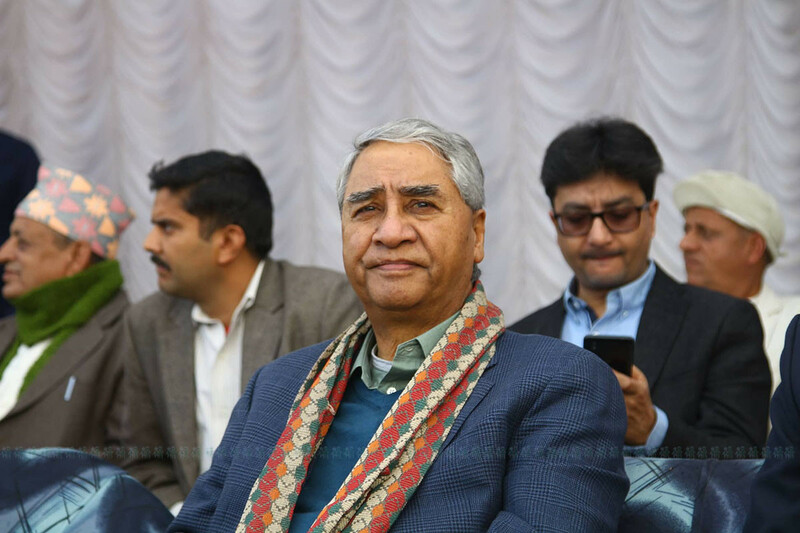 Why would the people vote for us?” Deuba stated criticizing himself on the last day of the nine-day central committee meeting held to discuss the party statute Saturday. Deuba was elected for the federal parliament from Dadeldhura while his wife Arzoo Rana Deuba lost from Kailali-5. Arjun Narsingh KC, meanwhile, had lost the election for the federal parliament from Nuwakot-2 while his younger brother Jagadsh Narsingh KC also lost for provincial assembly from the same district. Deuba, who had not conceded mistake in the central committee meeting held after the election to review the loss, and the meeting of district presidents held in Hetauda in June, has accepted mistake in ticket distribution in the current meeting held ahead of mahasamiti meeting. The central committee meeting held after NC was restricted to just 23 seats in the first-past-the-post election for the House of Representatives had ended concluding that the whole central committee should take responsibility for the loss. “They lose election and then blame me,” Deuba had argued refusing to take responsibility for the loss and pointed to the fact that he won his constituency. “People cannot win election and then blame us. They blame me without finding out the reasons for their loss. This is too much,” Deuba had taken a swipe at senior leader Ram Chandra Paudel, who claimed that he lost election due to repeated betrayal by party leaders, in a program organized in Bharatpur on September 20. The majority of central committee members who spoke during the nine-day meeting stated that the number of office-bearers should also be increased if the number of central members is increased from 85 to 141. The party has to increase the number of office-bearers to endorse the political decision taken to nominate Vijay Kumar Gachchhada, who merged his Madhesi Janadhikar Forum-Loktantrik with NC, as the party’s vice-president. Deuba, however, is not in favor of increasing the number of office-bearers. Senior leader Paudel, central member Pradeep Paudel and others had presented a statute with different opinion when the proposed statute drafted by the committee under General Secretary Purna Bahadur Khadka was presented before the central committee on November 25. The central committee members and office-bearers studied the draft prepared by Khadka-led committee for three days and discussed on it for nine days.